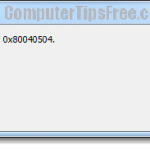 “Windows Installer Msi Error Code 1603 – Fatal error during installation. 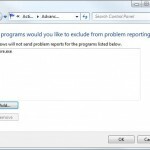 Consult Windows Installer Help Msi.chm or MSDN for more information.” If that’s exactly what you saw when you were trying to install something in Windows 8, Windows 8.1 or Windows 7, it indicates that the installer has been either corrupted or due to one of the reasons listed below in this post. 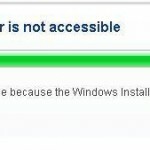 This error will only happen if the installer was packaged using Windows Installer. 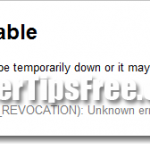 This post will only show you the possible causes of the Windows Installer Error 1603 Fatal Error During Installation. We wouldn’t be able to show you an exact fix if it was the installer that was corrupted. You will have to either re-download the installer, or seek help from the program community forums. From what we have collected and experimented, the error may occur if one of the following conditions isn’t set right. On the right side of the window, look for NtfsDisable8dot3NameCreation and make sure that its value is equal to 0. This indicates that the short file name creation is enabled. If the value is 1, the functionality is disabled and you should change the value to 0. After changing the value, restart your computer before launching the setup again. 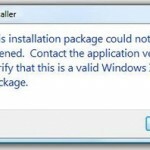 Unfortunately, you can’t install a Windows Installer package into an encrypted folder. 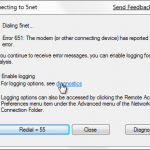 Install the software into a different folder which does not have the encryption turned on, or remove the encryption and install the software again. You receive the 1603 error message because the drive that contains the folder that you try to install the installer package to is accessed as a substitute drive. Try installing the software into another non-substituted drive. Or, you can also un-substitute the drive you are installing to and try to install the package into the original drive letter. It is necessary for the SYSTEM account to have full control permissions on the folder that you try to install the Windows Installer package to. In Windows 8, 8.1, Windows 7 or Vista: Try running the installer package as administrator. To do so, right-click your installer package and then select Run as administrator. Right-click the drive you want to install the package to, and then click Properties. For Windows 2000 users, verify that the Name box has the SYSTEM user account in it. For Windows XP users, verify that the Group or User Names box has the SYSTEM user account in it. If the SYSTEM user account does not appear, you have to add it. The Select Users or Group window will appear, click SYSTEM in the Name field . In the Permissions section, check the Full Control checkbox under Allow and then click on Advanced. Another window should appear. For Windows XP users, check the ‘Replace permission entries on all child objects with entries shown here that apply to child objects’ checkbox next to the SYSTEM user account, and then click OK.
For users using an older Windows systems, check the ‘Reset permissions on all child objects and enable propagation of inheritable permissions’ checkbox next to the SYSTEM user account, and then click OK. If you receive a security or similar message, click Yes.